Nobody wants to think of their home or family becoming the victim of a crime, but unfortunately it occurs, even in the best of neighborhoods. There are some practical and affordable ways to reduce the chance that you will be targeted by intruders, thieves, or predators, and some of the best defenses against these threats are the most basic. Homeowners and tenants often purchase insurance to protect themselves against potential crime and victimization, but these don’t necessarily increase home security. Home alarm systems are a pragmatic approach when you want to be alerted to an intruder on your property. Video surveillance is becoming a more popular approach, providing a way to scan and detect what is happening around your home, even before a home alarm sounds. These devices range in costs, and are becoming more affordable ways to protect your home and loved ones from a number of threats. This gives homeowners the opportunity to keep their eye on their investment, whether at home or away. Home security systems including those that alert local authorities when an alarm is triggered is another way that homeowners can defend themselves against the possibility of being victimized in their home. These often involve a set-up and installation fee, with manageable monthly service rates that include the personal assistance during a time of crisis. These systems allow for you to have an extra-set of eyes on your home, while you are sleeping or if you are away, to ensure that authorities are notified when something activates the alarm or crosses onto your property. When shopping for safety mechanisms, it pays to check out the home security systems reviews to find the system that is most recommended and endorsed to fit your needs. Don’t overlook some simple strategies that can make a difference in how safe and secure your home is, however; there are some basic approaches that can also curb the chance of your home being violated. Beefing up your doors and windows, recruiting neighborhood watch groups, and keeping your property well-lit are great ways to reinforce your home’s safety and augment your home security system. 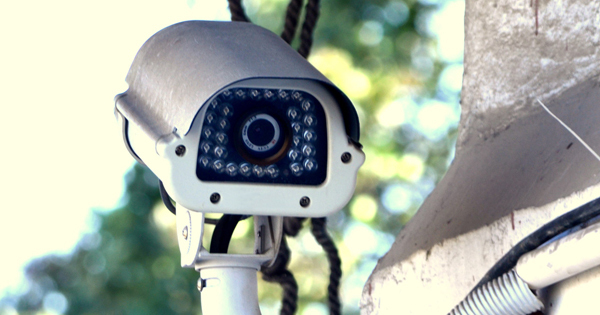 Homeowners that make the decision to invest in security devices, video surveillance, and systems may be pleasantly surprised by the impacts of these strategies on what they pay for home insurance premiums. Add this to the decreased losses and costs of having homes vandalized or burglarized, and the benefits continue to rise. Perhaps the biggest advantage of beefing up home safety is the peace of mind garnered from knowing that your family is well-protected and safe. When evaluating your current home security, don’t underestimate the value of video cameras and alarm systems that can provide added safety for your property and your loved ones. Talk with a home security expert to determine the best approach to reinforce your home’s safety and security, and to find out how video cameras may be best implemented to create a thorough and effective defense against victimization and intrusion.